Gordhan subpoenaed by Public Protector - SABC News - Breaking news, special reports, world, business, sport coverage of all South African current events. Africa's news leader. Gordhan is expected to appear before the Public Protector in relation to the retirement package offered to Ivan Pillay. The Minister of Public Enterprises, Pravin Gordhan, has been subpoenaed to appear before the Public Protector, Busisiwe Mkhwebane next week. This relates to early retirement package offered to former SARS deputy commissioner Ivan Pillay in 2010. It is reported that the complaint against Gordhan was lodged in November 2016 by Lebogang Hoveka, then a speech writer in former president Jacob Zuma’s office. Then Minister of Finance Gordhan was accused of the illegal authorisation of Pillay’s retirement package in 2016. 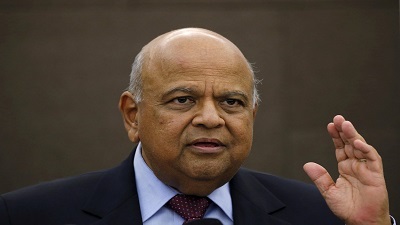 Gordhan denied any wrongdoing and the charges were later withdrawn by former NPA National Director Shawn Abrahams after it was revealed that SARS approved the retirement package. This entry was posted on 08 Nov 2018,11:42AM at 11:42 AM and is filed under Politics. You can follow any responses to this entry through the RSS 2.0 feed. Both comments and pings are currently closed.